Mudguard can efficiently prevent mud splash, we use eco- friendly material PP (polypropylene..
Assemble on MTB suspension fork. 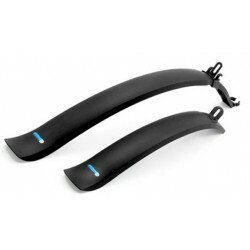 Compatibilitate: Furca fata ..
Front mudguard to keep your fork and your face free from dirt and debris. Customizable cut line..